Dekalb County is perpetrating massive and criminal fraud on the people of the county through its Watershed Management Division. People are receiving water bills that are astronomical. I received one for over $3000 that was 10 times the normal charge. On calling a couple of months ago, the DCWM representative said that others were also calling and they are looking into it, that perhaps there was a meter issue. I said that they could look into it but it was obviously a problem on their end and not mine since there was no way I had used that amount of water and the bill was wildly out of line with my water usage going back for many years. I waited for the problem to be handled. I recently received a bill for $4000 plus. This followed a winter in which I received a gas bill for over $700 (3 times any bills I have ever received) and a power bill for over $200 (5 times higher than any bills I have ever received during the winter). I received no help from the attorney generals’ office, and barely a response from Mr. Eaton the head of the Public Service Commission though he was being asked for full scale investigation since and had been told that for similarly outrageously high and wildly out of line gas bills, the state of NJ was filing suit against some gas companies there for fraud and running scams on NJ residents. He did nothing. The DCWM has complaints on its website from people saying they have not used the amount of water they have been charged for and the bills are unethical and illegal and people are unable to handle them at all. You are morally and legally responsible to stop this crime. The “concerned citizen” author of the letter above seems to have been speaking for a number of people in Dekalb County facing many of the same issues. The following are a few short examples of the complaints against the Dekalb County Department of Watershed Management as posted on the Department’s complaint website. We got a bill for $1791.27 and emailed about it (normally our bills are less than $100). We looked at our meter and it was obvious that whoever read it substituted a 6 for a 5, which is why it looked like our bill was so high. They sent somebody out and said that they would be back in touch with us in 7-10 days, but nobody ever contacted us. And now we are about to have our water cut off on the 30th. We don’t have that kind of money! Our account number is [removed by author for privacy] and the account owner is [removed by author for privacy]. MY NAME IS [removed by author for privacy]. THE INCIDENT THAT TOOK PLACE WAS THERE WAS A LEAK AT MY PREVIOUS HOME THAT KEPT INCREASING BY THE MONTH.THERE WAS NO LEAK DETECTED BUT MY WATER BILL KEPT GETTING HIGHER AND HIGHER MONTH AFTER MONTH.DEKALB WATYER SHED CONTINUED TO BILL ME INSTEAD OF THE HOME OWNWER WHO COULD NOT FIND THE LEAK.THIS ADDRESS RECORDS INDICATE THAT THE WATER BILL HAD NOT BEEN THAT HIGH IN THE 10 YR HISTORY THAT IT TRACED BACK. NOT ONLY DID I STILL KEEP GETTING BILLED BUT NOW IM BEING DENIED WATER BECAUSE MY BILL IS 1,500 NOW MY DAUGHTER HAS BEEN OUT OF WATER FOR 4 DAYS BECAUSE THEY ARE HOLDING HER RESPONSIBLE FOR THE BILL AS WELL.SHE HAS NO WATER IN HER NEW HOME. I receive an water bill on which I was told ever 2 months. Instead I received an bill from Aug 24 to Sep 5 in the amount of 279.00 so I call them and was ask why is my bill so high. He said that I used 21000 in water just in those few days. I said that’s impossible. He the gentlemen said call the property management and I did and they came out and did not find a leak. The plumber from the property management and the guy that was with him said it was impossible for them to read the meter if the dial does not move. In the mean time I have a 279 bill which if paid after a certain date will become 300.00. I just move to the state of GA and sign my lease on Aug 17 and the services were put in my name Aug 24. I can not afford to pay this bill. The property management said they will contact the company but apparently nothing has been done. I had a water leak back in March of this year, I sent over invoice that the repairs was completed. I don’t remember the name of the person I spoke with, but I’m sure the call was recorded, and hopefully noted. I was told that the bill would be adjusted. So here it is September 2014 and my bill is still not adjusted. I live alone and there is no way my water bill should be $ 4,000. When I call I get the run around. Saying that I have to pay it. This is unfair and unethical. Yet there have more complaints regarding these bizarre overcharges in other areas of Georgia. For instance, Channel 2 did an investigation of the same activity by the water board in Atlanta in 2011. In this case, the water board was installing additional meters on houses and finding that, in some cases, there was no correspondence whatsoever between the use of water and what the water board was claiming people were using, and for which they were charging people large amounts of money. After continued complaints of mistakes and misreads by Atlanta Watershed management’s metering system, Channel 2 Action News found a way to double check measurements at three metro homes. The homeowners are convinced that they’ve been billed for water they didn’t use and for expensive sewage fees that automatically get tacked on. “How would you describe your water bills?” Channel 2 Action News consumer investigator Jim Strickland asked Carolyn Jones. “Too high. Excessive,” Jones said. “Two and a third’s higher than they were a year ago,” said homeowner Peachy Horne of Loring Heights. “I was pretty much told, ‘Look, it’s your problem. It’s not ours,'” recalls Laura Diamond of Collier Hills. Each agreed to participate in a Channel 2 Action News water project. Channel 2 also recruited contractor Mr. Plumber, and veteran technician Jeff Markham. “Lately, there have been a lot of complaints,” said Markham about his clients and their water bills. Markham installed a second water meter in each home; in a spot where every drop of would get measured twice. Diamond got the first meter. She read it daily around the time of the month Atlanta Watershed was scheduled to read the street meter. “Clearly there’s a problem,” she concluded from the results. Diamond’s home is for sale and unoccupied. After her occasional visits, our meter read only 50 gallons used, during the cycle when Atlanta Watershed billed her for 1,800 cubic feet of water. That equates to 13,464 gallons. Indeed, it appears that DCWM knows that many people are being charged bills that do not correspond in any way to their previous bills going back years. They know that people are not suddenly using vast quantities of water. They also know what is going on is their fault alone. And yet they persist in this violation against the people of Dekalb County. Sources (who will remain anonymous) have informed this writer that the CEO’s office has been receiving around 50 calls per day regarding this issue. Still, the issue has not been resolved. If these issues were a mistake on the part of DCWM or the county government, then they would have been corrected after the first 50 calls to their office. The CEO’s office has been receiving 50 calls a day for some time. They certainly would have been corrected after the first 100 calls or after the first 1000. This leads many residents and, obviously, this writer to believe that the charges are intentional. If these are intentional, and since the charges do not correspond with actual water usage, the DCWM and thus county government are committing massive criminal fraud against the people of Dekalb county. It is attempting, using the power of government behind it, to steal vast sums of money from its residents. In doing nothing to stop this crime, Mr. May as CEO is complicit in this large-scale, potentially criminal, fraud. But this fraud is not just about money. Many if not most of the people who receive these bills are not only unable to pay but unable to begin to know what to do, or who to reach. Many don’t have computers and many are illiterate. Most would have no means or ability or even the energy (if they could even get past the first hurdle) of figuring out who to try to reach for help. They certainly would not know how to negotiate their way through a government bureaucracy that turns people away or passes them off to yet another agency that does the same. Even if they got that far, they would find that agencies that appear to be in place to help are actually in place to make sure that help does not exist. The people in Dekalb county are evidently being plundered at will by agencies and corporate utilities, and there is no elected official in place to protect people who are paying their salaries. This is not just about financial theft on a gigantic scale. It is a life-and-death issue. Readers may well remember the Enron scandal, when the power company in California ran brownouts on purpose to pretend it didn’t have sufficient capacity and then made billions by raising prices to astoundingly high levels. (In Georgia the gas companies and power company pretended a cold winter was responsible. NJ proved the weather has nothing to with what companies were charging). The result from Enron was not just fraud and theft at an unprecedented level. Enron’s behavior caused suicides across the state since businesses and livelihoods were being crushed. Ultimately, what Enron did was tantamount to murder. In Georgia, many of those receiving fraudulent bills are poor, chronically ill, and elderly. Many are barely making it as it is. Bills of this magnitude are sufficient to cause heart attacks, overwhelming stress that can result in hospitalization. Such stress can be unbearable for many people coping with disease. It can be the last straw financially or emotionally for people struggling to handle the loss of their jobs, homes, and the slew of financial injustices that have already been rained down upon them. Such bills can bankrupt working people. It can ultimately cause them lose their homes and follow them for years and cost them any chance of future employment. These bills are literally attacks on people’s lives. What the Dekalb County government is doing is unethical and illegal and criminal. Now, the state of Georgia has opened the door to corporate predators to do the same. The people of Georgia and Dekalb County are now sitting ducks for government and corporate crime. Dekalb County government is a corporation, led by a CEO. Atlanta, which stopped the criminal fraud in Fulton County, had an actual mayor. Since Dekalb County is a corporation, it has shareholders who are profiting by all money coming in, including residents’ taxes, police stops and tickets, and this most recent criminal fraud. Dekalb County is making money on its people, not just running county services. How many people in the county are aware of this? How many with normal water bills, realize the county has been inventing enormous water bills for others, or that the CEO has not stopped this obvious crime despite thousands of calls to his office and knowledge of the situation by the Chief Financial Officer? How many have had their water cut off as is happening in Detroit? How many have been driven from their homes? We know from Enron that games were played with electricity production to steal billions from the public. It’s clear from NJ that games are being played with rigged gas bills as well. Now Dekalb County, Georgia makes it clear not only that there is immense fraud centered on water; but, this time, the crime is being committed by an actual “corporate” government. Electricity, Gas, Water. It’s crucial that people be aware that they are not safe from those providing these services and necessities. They should know that their “government” can even move to take water from them. For starters, lawsuits should be filed against the Dekalb County, Government in the form of a class action suit and criminal charges should be filed against its officers. The entire country would be very interested in seeing both happen. And, we can imagine, there might be many law firms interested as well. 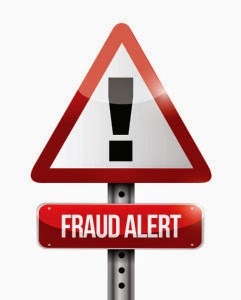 Have you been subjected to utility bills that you believe are fraudulent? Please leave your story in the comment section below and help inform others. Posted in Latest NewsTagged Economy, fraud, politics, DeKalb County Georgia, Water industry, Dekalb County governmentcommentLeave a Comment on Is Dekalb County, Georgia Government Running An Immense Financial Scam?